The omnipresent practice of denying girls action figures has somehow hit a new low. Remember how in the Jurassic World movie, most of the dinosaurs—especially Chris Pratt’s Raptor squad—were constantly referred to as girls? Well, as Jurassic World action figures, they’ve all been genderswapped into boys. Look, I know we talk about the vast gender inequality of the toy market on io9 a lot, but this is beyond the pale. It’s insanity. These are toys of dinosaurs. They don’t have any visual sexual characteristics. The movie explicitly refers to the dinosaurs as females, and has still made a zillion dollars with not a single person on earth complaining about the dinosaurs’ genders. 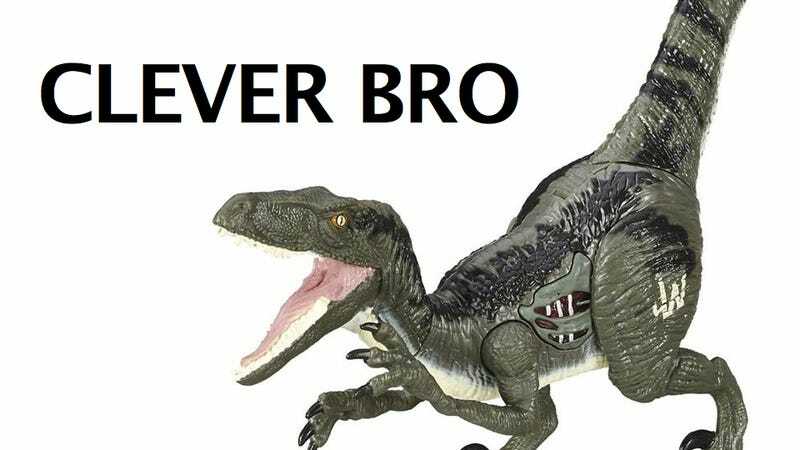 If a goddamn pronoun is what’s preventing you or your kid from buying a Raptor action figure, don’t get the figure. Go get therapy.